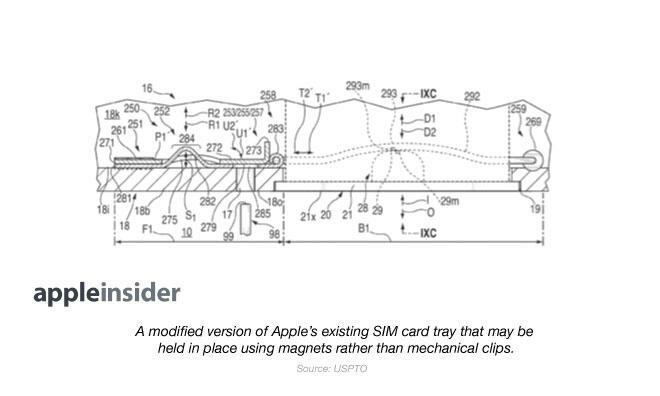 The United States Patent and Trademark office on Thursday published an Apple patent application covering a variation on the company's unique SIM card tray design. The application —covering "Systems and methods for ejecting removable modules from electronic devices" —would allow future SIM-equipped devices to retain and eject the tray by magnetic means rather than mechanical. 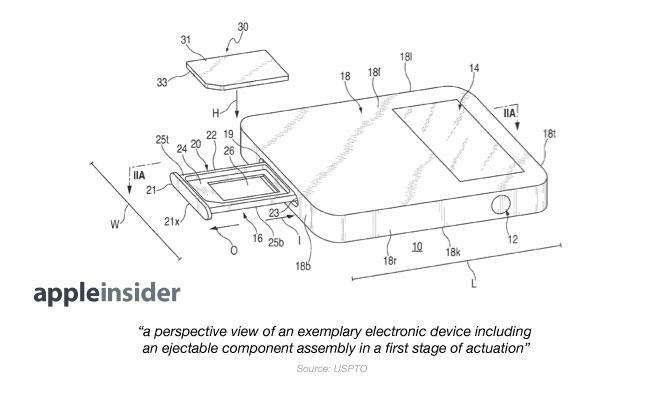 Apple says in the filing that current designs, which utilize internal retaining clips and require a hole in the device's exterior for removal, take up too much space and provide a point of entry for dirt and grime.